Confession: I am lazy. Well, I wouldn’t say lazy. Rather, I would say that I despise working out. Despise. However, I like all of the things that are involved in working out – specifically the clothes. 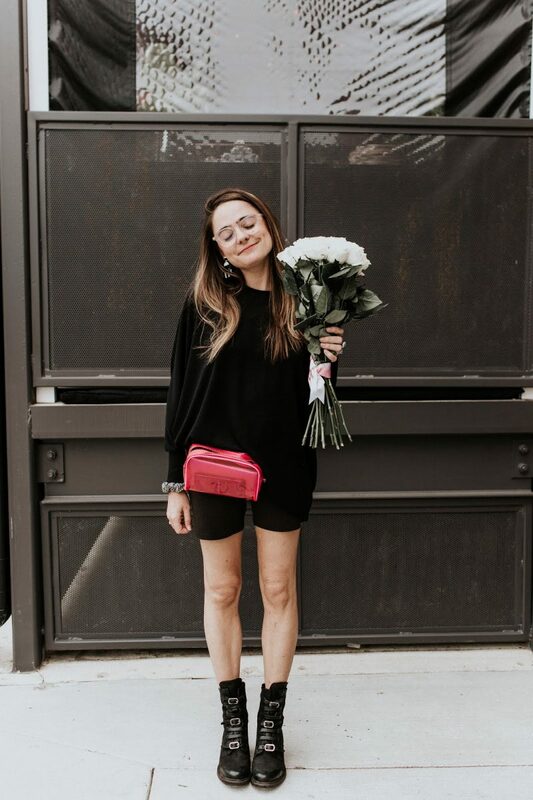 So I do what any other fashion girl who loves workout clothes would do – seamlessly work them into my every day wardrobe. These Fabletics leggings are my most recent favorite fake work out gear and I cannot get enough of them. Do yourself a favor and check out all of the amazing patterns that they come in. You’ll need more than one pair so check out all that Fabletics has to offer & get $10 off with THIS LINK. Along the same lines, I have always liked the idea of a 24/7 fitness tracker but I just did not like the way that they looked. Enter: Amazfit to solve all of my problems. Not only is it’s ceramic core based accessory extremely fashionable but the price point is a serious game changer. For under $100, you can get any number of styles, black or white, to step up your fitness awareness. Since receiving my Amazfit a few weeks ago, I have become increasingly more aware of my sleep habits as well as my daily activity and have set new goals for the upcoming months that I actually care to achieve. So if you’re like me and need a little extra motivation for staying aware of your body, let this be your push. Trust me, you won’t regret it. Leggings, Fabletics. Vest, c/o Dezzal. Top, H&M. Bag, Glossier. Boots, Nasty Gal (similar). Sunglasses, Krewe.